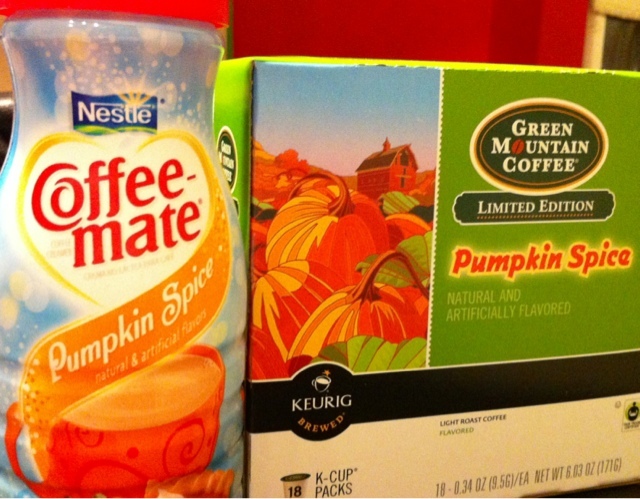 There are three things I like about fall. Hiking in state parks while the leaves are changing, Thanksgiving, and pumpkin spice lattes from Starbucks. If you haven't had this delicious coffee drink, proceed directly to your nearest Starbucks immediately. Unless its late in the evening, then wait until you can enjoy your caffeine without staying up all night. Here's the problem: enjoying this pumpkiny delight as frequently as I'd like to would cost me far too much money and valuable time waiting in line at Starbucks. Not to mention the calories in those things. So instead, I make my own version at home. Eighteen cups for about the price of three of the real thing. And like 40 calories each. Unless you use coffee creamer like I do, then it's more like 80-120. But it's delicious, cheap, and convenient.